Thats all. Game finished - Sporting Kansas City 2, New York Red Bulls 2. Second Half ended - Sporting Kansas City 2, New York Red Bulls 2. Substitution - New York Red Bulls. Amro Tarek for Marc Rzatkowski. Luis Robles - New York Red Bulls - receive yellow card. Krisztián Németh - Sporting Kansas City - receive yellow card. VAR: Other. Referee decision on field cancelled. Delay in match - Sporting Kansas City Video Review. 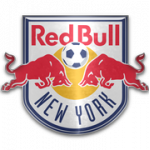 Alejandro Romero Gamarra - New York Red Bulls - receive red card for violent conduct. Shot blocked. Graham Zusi - Sporting Kansas City - shot with right foot from the centre of the box is blocked. Assist - Gianluca Busio. 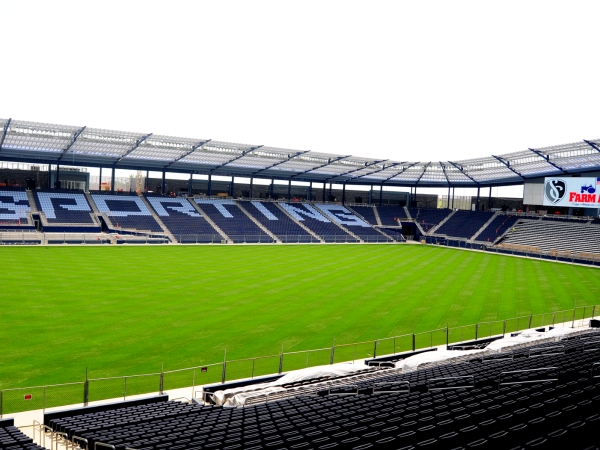 Corner - Sporting Kansas City. Conceded by Sean Davis. Shot blocked. Johnny Russell - Sporting Kansas City - shot with left foot from the centre of the box is blocked. Dániel Sallói - Sporting Kansas City - hits the bar with a shot with right foot from the centre of the box. Assist - Graham Zusi with a cross. Kelyn Rowe - Sporting Kansas City - receive yellow card for a foul. Sean Davis - New York Red Bulls - won a free kick in defence. Goal! 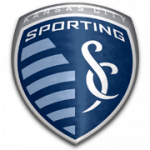 Sporting Kansas City 2, New York Red Bulls 2. Gianluca Busio - Sporting Kansas City - shot with right foot from few metres to the centre of the goal after corner. Shot blocked. Graham Zusi - Sporting Kansas City - shot with right foot from the centre of the box is blocked. Corner - Sporting Kansas City. Conceded by Vincent Bezecourt. Shot blocked. Krisztián Németh - Sporting Kansas City - shot with right foot from the right side of the box is blocked. Assist - Yohan Croizet with a cross. Substitution - New York Red Bulls. Vincent Bezecourt for Daniel Royer. Offside - New York Red Bulls. Daniel Royer with a pass, however Brian White is in offside. Substitution - Sporting Kansas City. Kelyn Rowe for Felipe Gutiérrez. New attacking attempt. Johnny Russell - Sporting Kansas City - shot with right foot from the right side of the box is saved in the left corner. Substitution - Sporting Kansas City. Dániel Sallói for Gerso. Yohan Croizet - Sporting Kansas City - won a free kick in defence. Shot blocked. Daniel Royer - New York Red Bulls - shot with right foot from outside the box is blocked. Assist - Brian White. Missed chance. Felipe Gutiérrez - Sporting Kansas City - shot with left foot from outside the box is high and wide to the right. Assist - Krisztián Németh. Connor Lade - New York Red Bulls - won a free kick in defence. Goal! Sporting Kansas City 1, New York Red Bulls 2. Brian White - New York Red Bulls - shot with the head from the centre of the box to the right corner. Assist - Alejandro Romero Gamarra with a cross. New attacking attempt. Marc Rzatkowski - New York Red Bulls - shot with left foot from outside the box is saved in the top centre of the goal. Substitution - New York Red Bulls. Brian White for Bradley Wright-Phillips. Felipe Gutiérrez - Sporting Kansas City - won a free kick in defence. Cristian Cásseres Jr - New York Red Bulls - won a free kick in attack. Gerso - Sporting Kansas City - won a free kick in defence. Aaron Long - New York Red Bulls - won a free kick in defence. Substitution - Sporting Kansas City. Gianluca Busio for Roger Espinoza. Felipe Gutiérrez - Sporting Kansas City - won a free kick in attack. Missed chance. Johnny Russell - Sporting Kansas City - shot with left foot from the centre of the box is close, but missed to the left. Assist - Krisztián Németh. Corner - New York Red Bulls. Conceded by Yohan Croizet. Bradley Wright-Phillips - New York Red Bulls - won a free kick on the right wing. Andreu Fontàs - Sporting Kansas City - won a free kick in defence. Missed chance. Cristian Cásseres Jr - New York Red Bulls - shot with right foot from outside the box missed to the left. Assist - Daniel Royer. Missed chance. Graham Zusi - Sporting Kansas City - shot with right foot from outside the box missed. Assist - Felipe Gutiérrez . Tim Parker - New York Red Bulls - receive yellow card. Gerso - Sporting Kansas City - won a free kick on the left wing. Goal! Sporting Kansas City 1, New York Red Bulls 1. Daniel Royer - New York Red Bulls - shot with left foot inside of six yard box - left side to the centre of the goal. Assist - Cristian Cásseres Jr with a through ball. Marc Rzatkowski - New York Red Bulls - won a free kick in defence. Roger Espinoza - Sporting Kansas City - won a free kick in attack. Second Half starts Sporting Kansas City 1, New York Red Bulls 0. First Half ended - Sporting Kansas City 1, New York Red Bulls 0. Offside - New York Red Bulls. Marc Rzatkowski with a pass, however Bradley Wright-Phillips is in offside. New attacking attempt. Daniel Royer - New York Red Bulls - shot with right foot from the left side of the box is saved in the left corner. Assist - Alejandro Romero Gamarra. Corner - New York Red Bulls. Conceded by Graham Zusi. Shot blocked. Tim Parker - New York Red Bulls - shot with the head from the centre of the box is blocked. Assist - Marc Rzatkowski with a cross. Corner - New York Red Bulls. Conceded by Matt Besler. Shot blocked. Krisztián Németh - Sporting Kansas City - shot with right foot from outside the box is blocked. Assist - Johnny Russell. Corner - Sporting Kansas City. Conceded by Luis Robles. New attacking attempt. Krisztián Németh - Sporting Kansas City - shot with right foot from outside the box is saved in the right corner. Assist - Gerso. Missed chance. Ilie Sánchez - Sporting Kansas City - shot with the head from the centre of the box missed. Assist - Felipe Gutiérrez with a cross after corner. Shot blocked. Graham Zusi - Sporting Kansas City - shot with left foot from outside the box is blocked. Assist - Gerso with a head. New attacking attempt. Yohan Croizet - Sporting Kansas City - shot with left foot from outside the box is saved in the top centre of the goal. Assist - Felipe Gutiérrez. Johnny Russell - Sporting Kansas City - won a free kick on the right wing. Goal! Sporting Kansas City 1, New York Red Bulls 0. Johnny Russell - Sporting Kansas City - shot with left foot from a diffucult position on the right to the left corner. Assist - Krisztián Németh. Shot blocked. Daniel Royer - New York Red Bulls - shot with right foot from the centre of the box is blocked. Assist - Bradley Wright-Phillips. Cristian Cásseres Jr - New York Red Bulls - won a free kick on the left wing. New attacking attempt. Aaron Long - New York Red Bulls - shot with the head from the centre of the box is saved in the top centre of the goal. Assist - Marc Rzatkowski with a cross. Corner - New York Red Bulls. Conceded by Andreu Fontàs. Missed chance. Krisztián Németh - Sporting Kansas City - shot with right foot from outside the box is high and wide to the right. Assist - Gerso. Ilie Sánchez - Sporting Kansas City - won a free kick in attack. Offside - Sporting Kansas City. Tim Melia with a pass, however Krisztián Németh is in offside. Offside - New York Red Bulls. Michael Murillo with a pass, however Bradley Wright-Phillips is in offside. Felipe Gutiérrez - Sporting Kansas City - won a free kick on the left wing. Offside - New York Red Bulls. Tim Parker with a pass, however Bradley Wright-Phillips is in offside. Krisztián Németh - Sporting Kansas City - won a free kick in defence. Corner - New York Red Bulls. Conceded by Tim Melia. New attacking attempt. Daniel Royer - New York Red Bulls - shot with left foot from a diffucult position and long distance on the left is saved in the top right corner. Assist - Bradley Wright-Phillips with a head. Missed chance. Johnny Russell - Sporting Kansas City - shot with left foot from the centre of the box is close, but missed. Assist - Graham Zusi. Offside - Sporting Kansas City. Johnny Russell with a pass, however Krisztián Németh is in offside. New attacking attempt. Felipe Gutiérrez - Sporting Kansas City - shot with left foot from outside the box is saved in the left corner. Assist - Ilie Sánchez. Shot blocked. Roger Espinoza - Sporting Kansas City - shot with left foot from outside the box is blocked. Assist - Krisztián Németh. Daniel Royer - New York Red Bulls - won a free kick in defence.